Arena Flowers deliver fresh flowers, luxury chocolates, premium wines and a wide range of personalised gifts throughout the UK. Arena Flowers source their flowers direct from growers, which mean their flowers are up to 4 days fresher than most sold in the UK. They offer a wide choice of gifts ideas from as little as £1.99, including luxury chocolates, champagne, soft toys, cards, balloons and more. Take a look at this week's Special Offers on selected flowers and gift ideas. Offers change periodically Discounts automatically applied on site. Get FREE standard delivery. Ongoing Standard site offer. 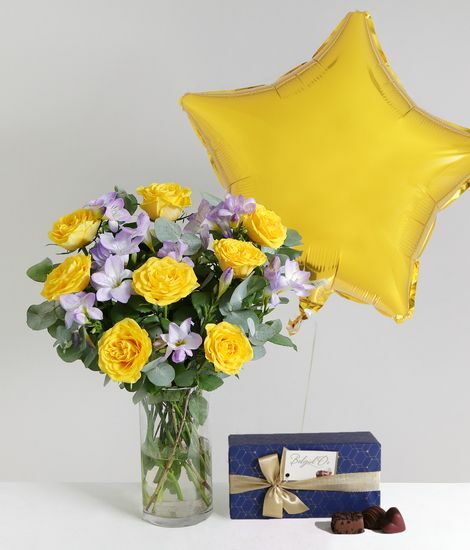 A timeless combination of sweet smelling freesia, minty eucalyptus and fresh yellow roses, this hand-ties beautifully to offer outstanding value for money and is a bouquet that never disappoints. 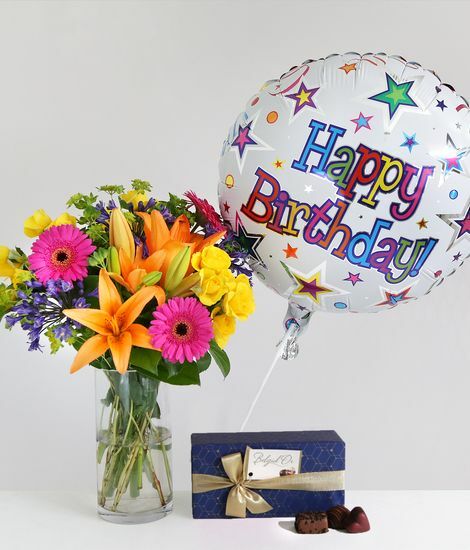 The large Happy Birthday helium balloon will bring a smile to anyone's face and the addition of a box of delicious Lindt chocolates is guaranteed to please! This elegant pure white bouquet is perfect in its simplicity and the flowers in this modern composition symbolise purity and elegance. 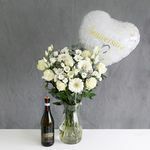 With the addition of a large Happy Anniversary balloon and a bottle of Prosecco to share whilst reminiscing over happy memories, this is the perfect anniversary gift with which to show just how important that special someone is to you. The beautiful bouquet of pink, blue and white lisianthus has a wonderful mix of warm and cool tones and, accompanied by the large silver star balloon and the box of delicious Lindt Mini Pralines, expresses your sincere and heartfelt thanks.